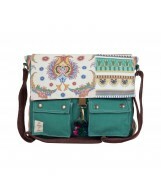 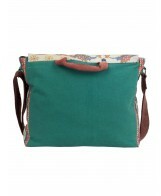 Messenger bag made in printed and solid colour canvas fabric. 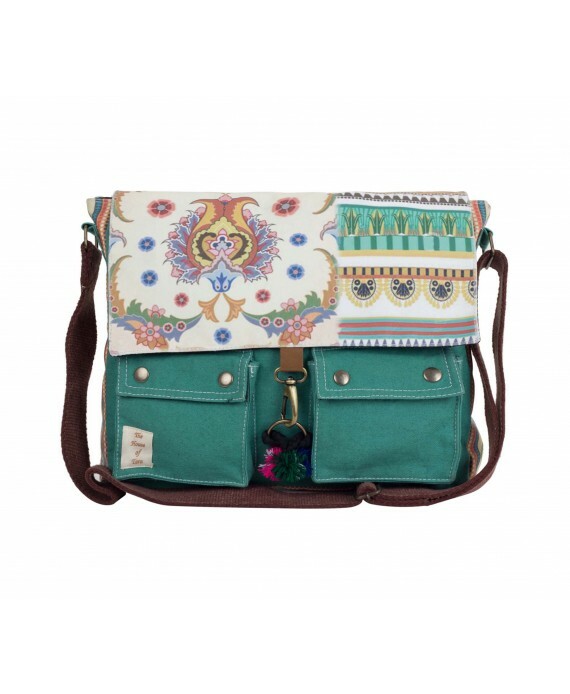 Messenger bag made in printed and solid colour canvas fabric. 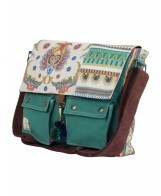 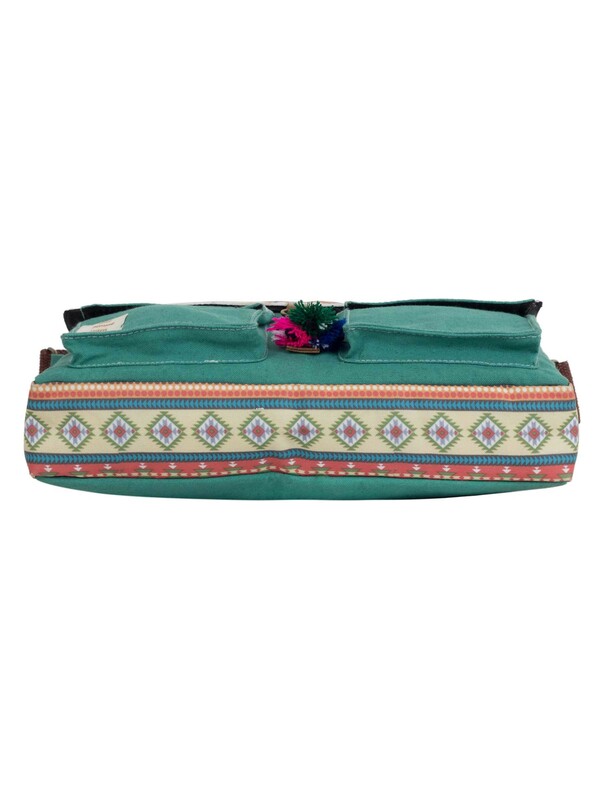 It has two external patch pockets and a lobster closure embellished with leather and tassle. 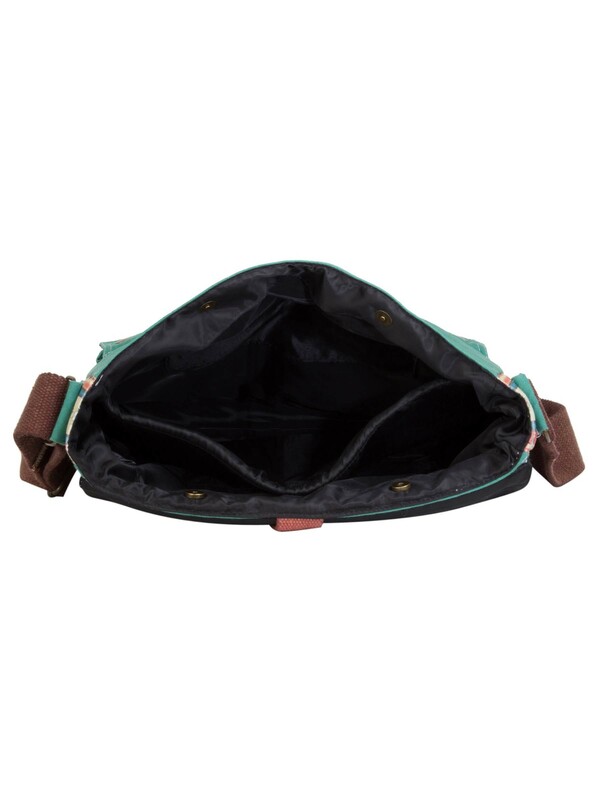 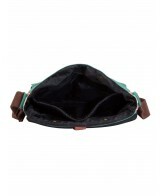 The main compartment is divided into two parts by a padded partition with a loop closure. 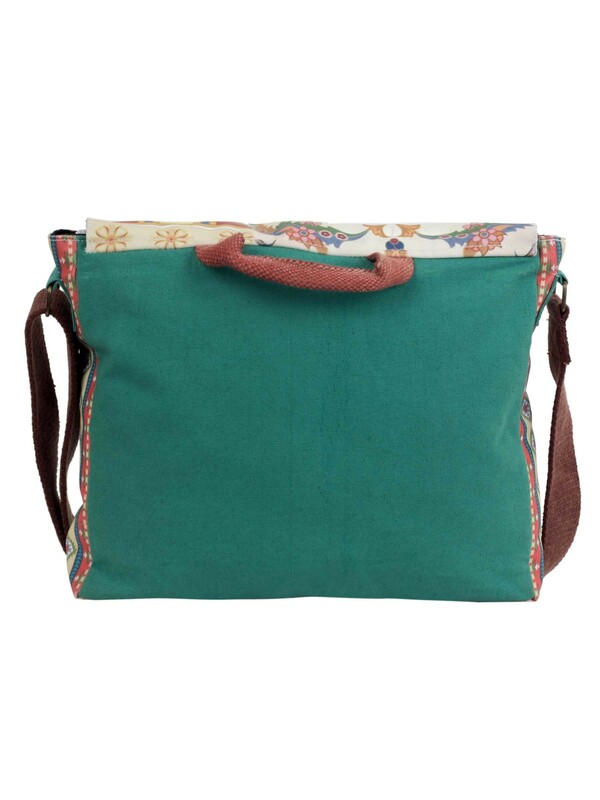 It can hold a laptop of upto 15.6 inch screen size. 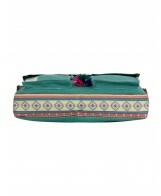 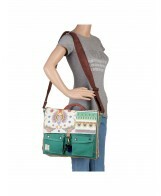 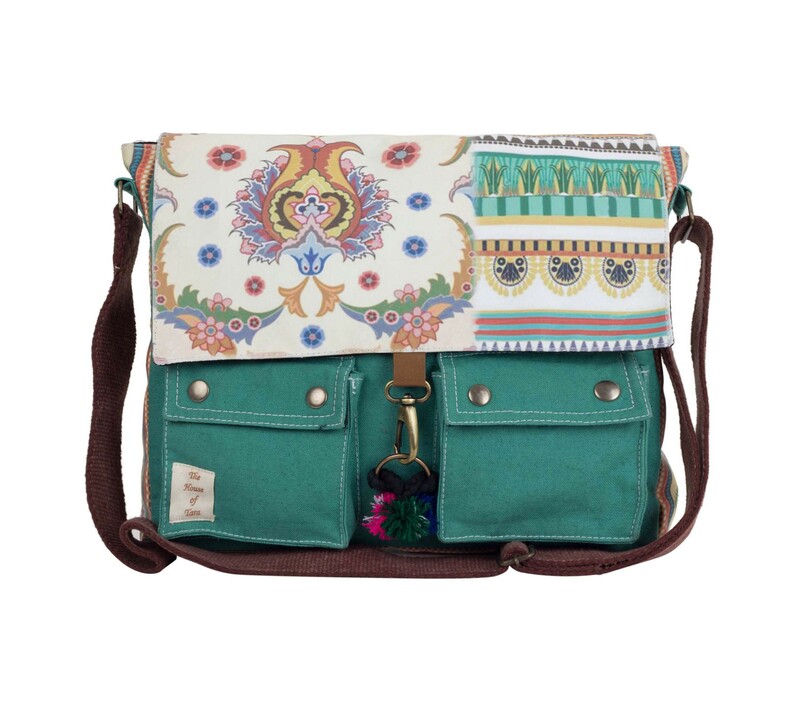 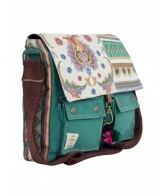 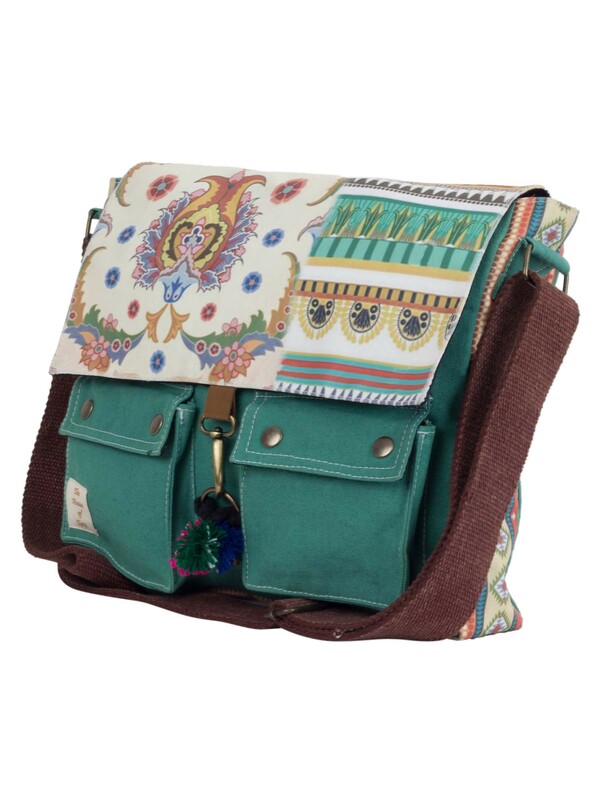 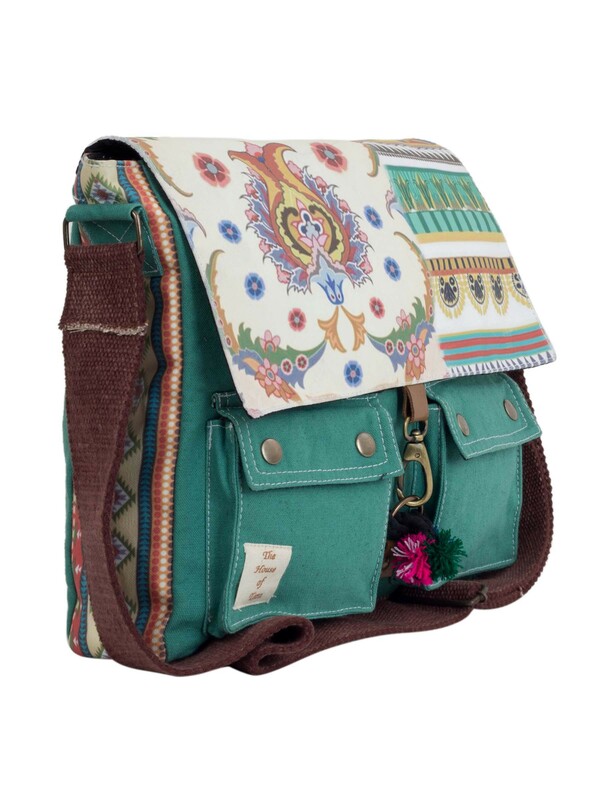 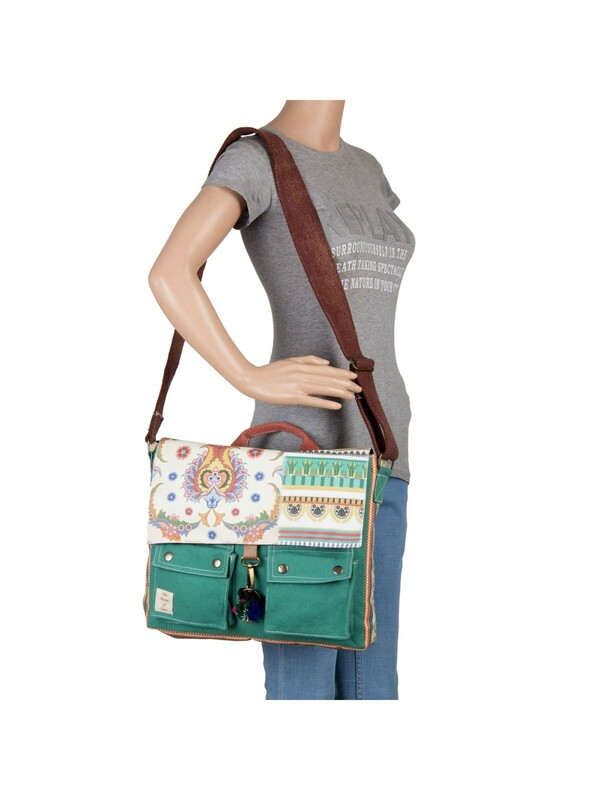 It has a short haul handle and a broad adjustable shoulder strap with maximum shoulder drop of 24 inches.